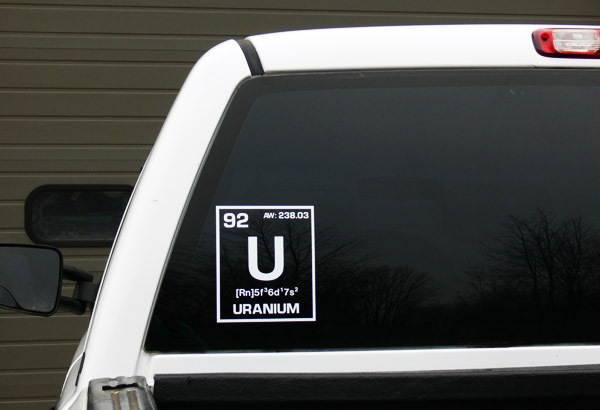 > Display your favorite element on your car or tuck window, laptop, computer case, door, or any eye catching or interesting spot you can think of. Large 7" tall x 6" wide self-adhesive vinyl graphic fabricated from all-weather 10 year premium sign vinyl. 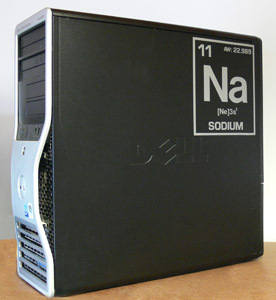 Available for any element on the Periodic Table - just type in your choice in the box below. Don't forget to choose your color from the pull-down menu below (colors available are: Black, White, Red, Blue, Gray, Yellow, Violet or Green). Stickers are top quality and are impervious to sunlight, UV, and weather. Easy to apply They will not degrade, crack or peel. Please enter both your Element choice and Sticker Color choice below.